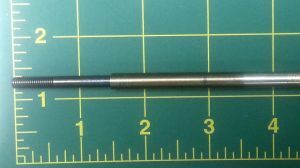 OSE 1/4" Assembled, reverse cable with 1/4 to 3/16 step down shaft. 18", 24", 30" or 36" total assembled length. These can be used with 1/4"(.250") struts. NOTE: This is REVERSED CABLE. 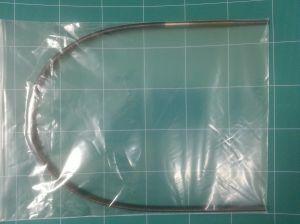 The cable in this package is made for propellers that spin clockwise, like the Octura "R" series right props or the Graupner left props. 3/16" Drive Dog or for large hub props you can put on a 1/4" drive dog on the 1/4" section. The OSE listed length is the total assembled length. Measured from end of cable to the tip of the propeller shaft. Flex cable lengths are approximate. They can be plus or minus one half inch. These assemblies require the customer to cut the cable to their required length.